I charged my kindle and found a book had been delivered that I was waiting for....in fact now we're into November there's another waiting. I really enjoyed the first two Cormoron Strike books, but daren't download this one until I get rid of my Kindle back log. I really like Nigella's new cookery book, and I giggled out loud quite a number of times at the tv programme. I think she's sticking a giant rude finger up to her ex. Good for her. I have Nigella's new book on hold at the library but I'm so far down on the list, it will be several more months before I have a chance to read it. I'm trying to be patient but I really want to read it. No Ian Rankins either. 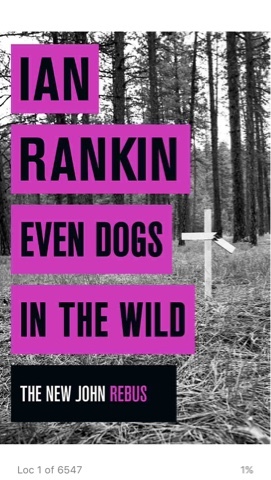 I really enjoy the Rebus book as well. I haven't come across the Cormorant strike books, so thanks for the tip.